Label(s): Caribbean Palm Records, Island Pop Records ..
Andy Jackson aka fhiyahshua was born in kingston pubic hospital, kingston on march 28, 1974, raise in bedward garden st andrew august town. he attened the aquinas basic school, then august town primary, and later mona high. At an early age he was surrounded by music as his father owned a sound system, which he played and sing songs on. fhiyahshua’s music is an in born feeling given to mankind by the almighty, fhiyashua was also motivated by is mother. Knowing that word is power, holding the rastafarian faith, he was urging to sing possitive songs to uplift the minds of people. By listening to music, he was inspired by many artistes but mainly by bob marley and the wailers, mighty diamonds,burning spears,- garnet silk,- buju banton,-[capleton king shango,][-sizzla aka dada.] He performed at school events and community stage show.Pampi judah introduced him to twelve tribe of israel, where he performed. But to him, his most sucessful appearance was at ” building sasharmane ” in 2001, at twelve tribe head quarters. He was motivated by Edie Fitzroy when he was interviewed on roots FM. He has been to cave man rehearsal and recording studio, recorded at leggo recording studio, J.R. studio, kalonji recording studio, at kingston hammer music,studio, game face recording studio,etc. 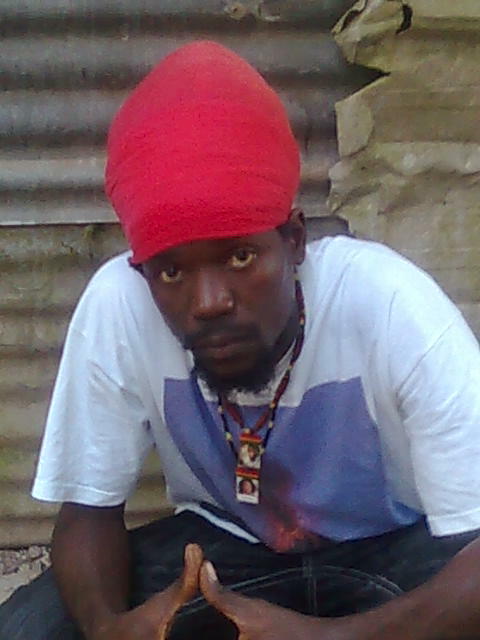 While at studio, he worked with Yami bolo,- sizzla,- pampi judah,- natural black,- isreal voice,- luciano,- obie ranks, and DJ lava ranks. He is now working with prouducers on is album, his singing and his song writing career. FHIYAHSHUA is a sure artiste to watch now and for the future. Hard work is the key to success, what you put in, is what you get. Fhiyahshua sure artist to watch now and for the future. musical explosion, Fhiyahshua is a sure artist to watch now and for the future. Without life where would we be? or what could we do? Life is the greatest, with life you can be the best you want to be. Where there’s life there’s hope. There are a million ways to fail, but so little chance to win. Life mean never ending, but death is where you come to the end of the road. Live the best way you can. Word is the creation of the world, numbers are the balance of the world, it add,it subtract,it multiply,it divided.